Putting on a child’s birthday party is enough to send even the calmest parent into a tizz. Throw in a young guest or two with serious food allergies, and the worry level turns up a notch. Australia has one of the highest reported incidences of food allergies in the world, with numbers growing at an alarming rate. Hospital admissions for severe allergic reaction to foods in children aged up to four have increased five-fold in the past 10 years. And given one in 10 Australian babies will develop a food allergy, there’s a high chance most parents will face this scenario. It can make birthday parties daunting – not only for the host, but also for the guest. But you most definitely don’t need to leave kids with food allergies off the guest list just because it all seems too scary. A little thoughtful planning and preparation will make sure everyone can join in the fun. You’ve heard of serious nut, egg and shellfish allergies, but did you know that milk, wheat and sesame can also be fatal to some children? That’s exactly why you need to know what you’re dealing with, well before you’re dealing with it. 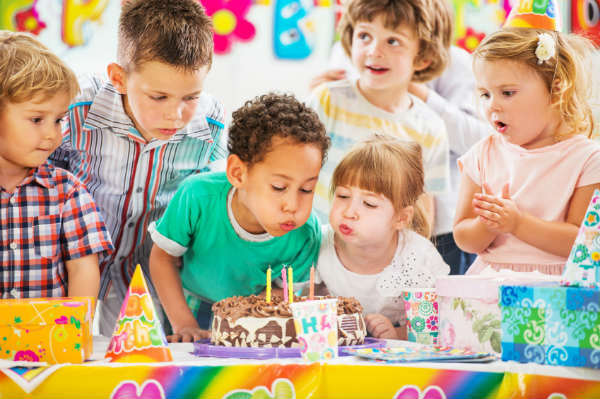 Allergy and Anaphylaxis Australia president Maria Said says parents of the birthday child should talk to parents of party guests to find out whether they need to cater to any allergies. Alternatively, write a note on the invitation asking guests’ parents to let you know about any dietary requirements. She says inviting parents of kids with allergies to attend the party as helpers can also be a welcome offer – they may feel more comfortable if they can keep an eye on what their child is doing. Ask them to bring the child’s anaphylaxis medication in case it’s needed – and know what signs to look out for and how to use it if their parent isn’t there. Think you can just put out foods that are “safe” for everyone and be done with it? Not so fast. “There’s no such thing as allergy free because people can develop allergies even to fruit. It’s really about awareness and trying to reduce risk where you can, but never thinking risk is totally removed,” Ms Said says. But there are numerous things you can do to cut that risk. Make sure you know what’s in the food and drinks you serve – check ingredients lists carefully. Save the packets to show the child’s parent if you’re unsure. Remove the allergen where possible. “That’s quite easy to do if it’s peanut, but not if you have a child with egg or cow’s milk allergy,” Ms Said says. If you can’t remove it entirely, make sure you’re aware of which food has allergens, and also point it out to the child and/or their parent. Many parents of allergy sufferers are well-versed in bringing their own food. Tell them beforehand what you’re planning to serve – and see whether they’d like to make one of the dishes using a recipe that suits their son or daughter, so the child doesn’t feel isolated. Ask the parent for a birthday cake recipe that doesn’t contain the relevant allergen. They will usually have a trusted favourite (and if you’re lucky, they may even offer to bake it for you!). This goes for other party food recipes, too. You could also make a separate cupcake or ice cream for the guest with the allergy, so they don’t miss out entirely. Search recipe websites such as Taste for party food and birthday cake recipes that are free of the ingredients you need to avoid. Avoid cross-contamination: If you’re making food with something a guest is allergic to, make sure you wash those utensils, boards, tins, trays, pots and so on thoroughly before using them again. If barbecuing, use separate foil trays and utensils to cook food for the allergy sufferer. If it’s a baby with the food allergy, ask their parents to bring their own high chair to avoid cross-contamination. Be aware, also, of potential allergens in materials you use for party entertainment. For example, egg cartons or ingredients in feed if you have a visiting animal farm. Every kid loves a lolly bag, but not when they can’t eat anything in it. Ms Said says many savvy parents of allergy sufferers have a stash of lolly bags at home that they can swap for whatever the child gets at a party. But Ms Said suggests giving the mum of the child with the allergy some money to make up the lolly bags with safe foods. Or even better, skip the sweets entirely and get creative – pencils, erasers, stickers, books or a whistle make great take-home items. And all the other parents will thank you for it, too! Ms Said says the key factors in dealing with allergies at birthday parties are awareness, understanding and communication with the family of the relevant children. “Most parents of kids with allergies are really happy to help out so kids can be included,” she says. 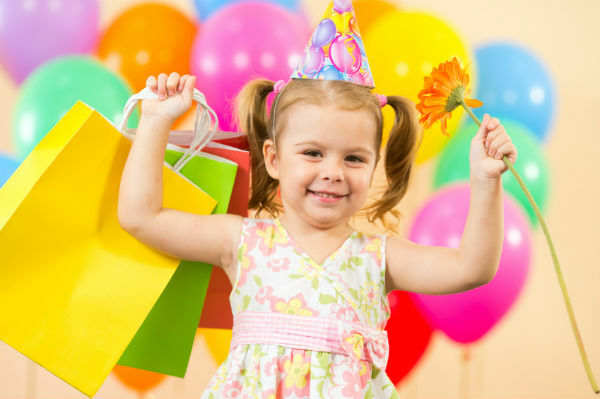 What’s your go-to tip for handling allergies at birthday parties? Tell us below.